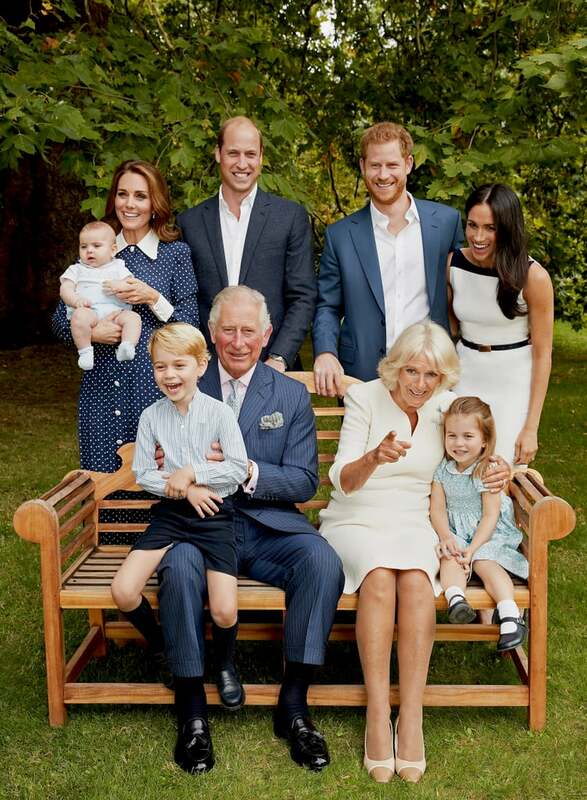 A new batch of royal family portraits were released on Tuesday in honor of Prince Charles's 70th birthday on Nov. 14, and we can't get over how big Prince George, Princess Charlotte, and Prince Louis are getting. 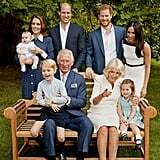 In the two photos, Charles is surrounded by his grandchildren, as well as Kate Middleton, Prince William, Prince Harry, Meghan Markle, and wife Camilla, Duchess of Cornwall, outside of Clarence House. 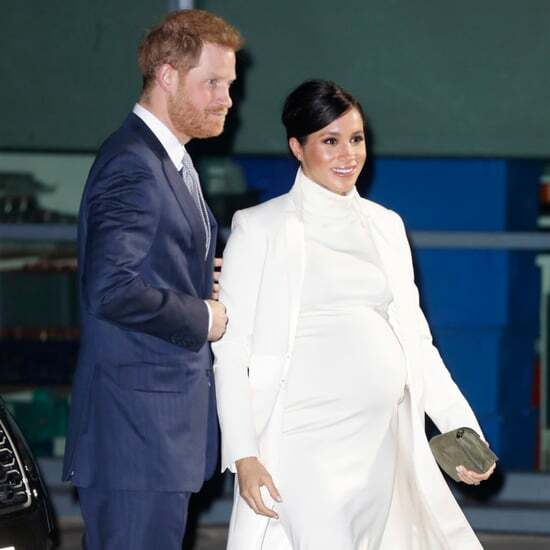 The family color-coordinated their outfits, this time opting for blue and white as their color palette, and in one of the snaps, the brood appeared to be laughing at something behind the camera. 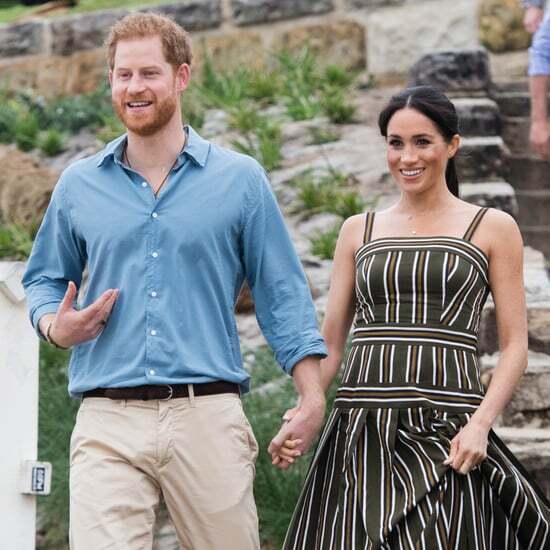 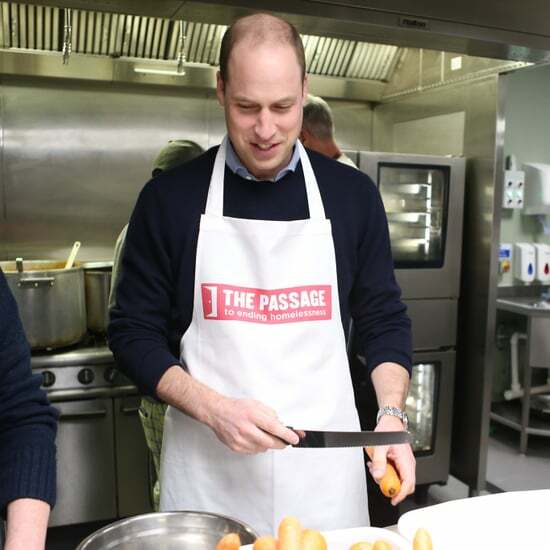 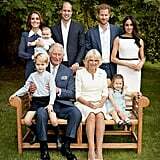 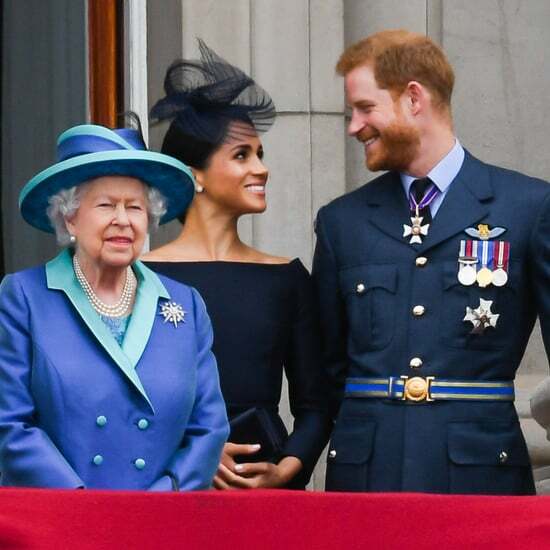 "It was particularly special to capture such an informal and relaxed family portrait over a fun afternoon in the gardens of Clarence House," photographer Chris Jackson told People in a statement. 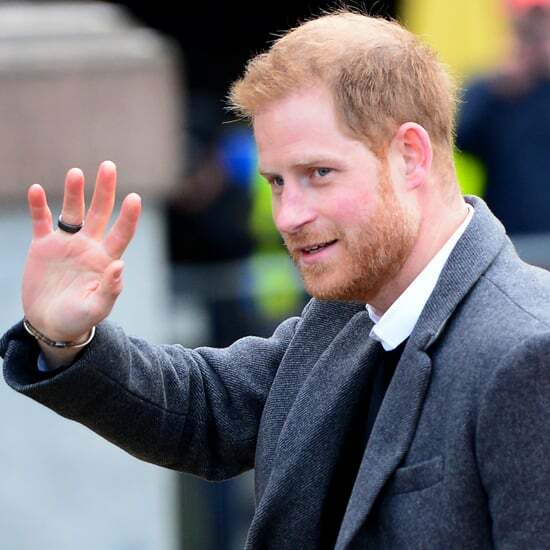 Earlier this week, a new photo of baby Louis was released in BBC One's recent documentary Prince, Son and Heir: Charles at 70. 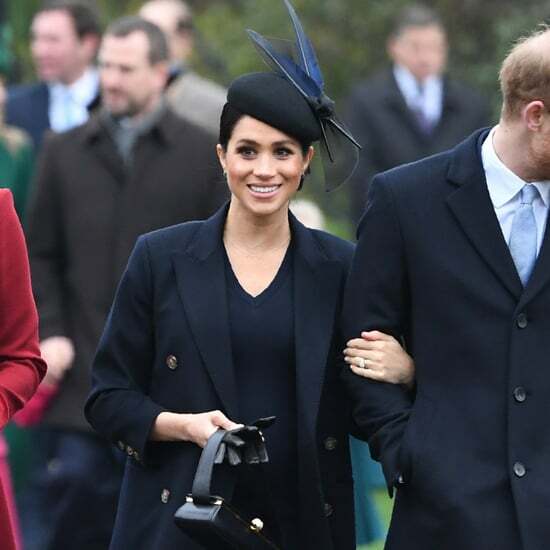 In the picture, Louis is shown holding his grandfather's hands as Kate carries him. 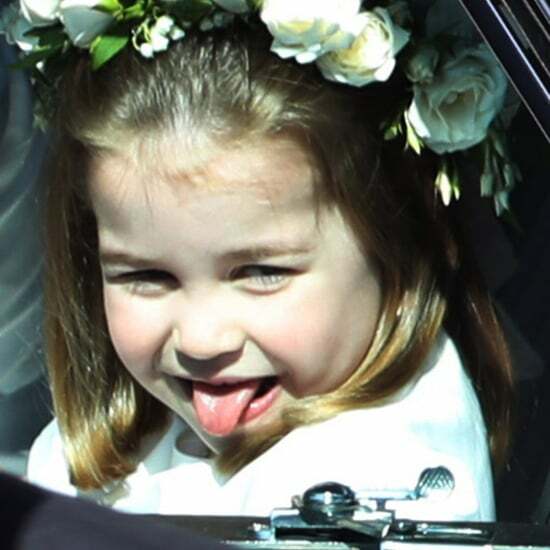 If this is any indication of what their Christmas portraits are going to look like, we can't wait!